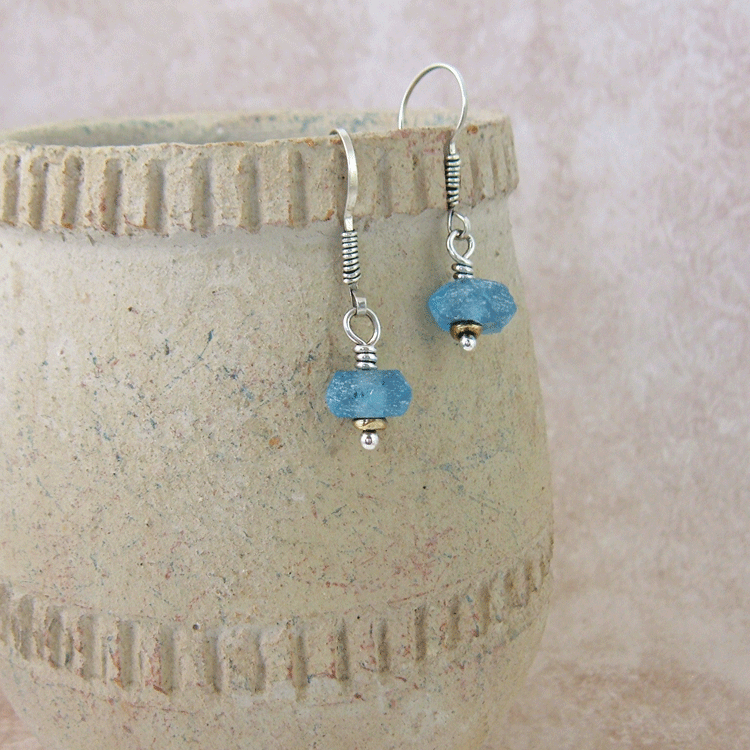 Beach glass earrings in beautiful summer time blue. Perfect size for fun in the sun. 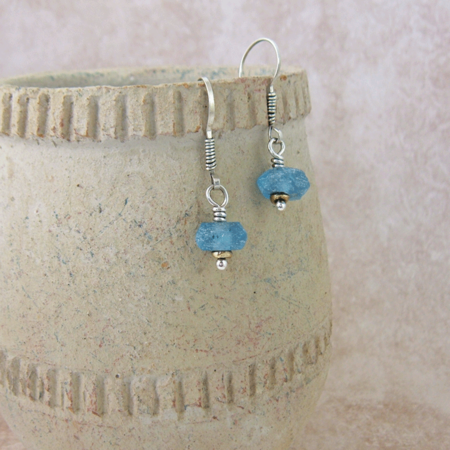 These blue glass earrings are accented with silver and a hint of brass for a two tone effect. Light to wear, perfect warm weather color, and beachy. 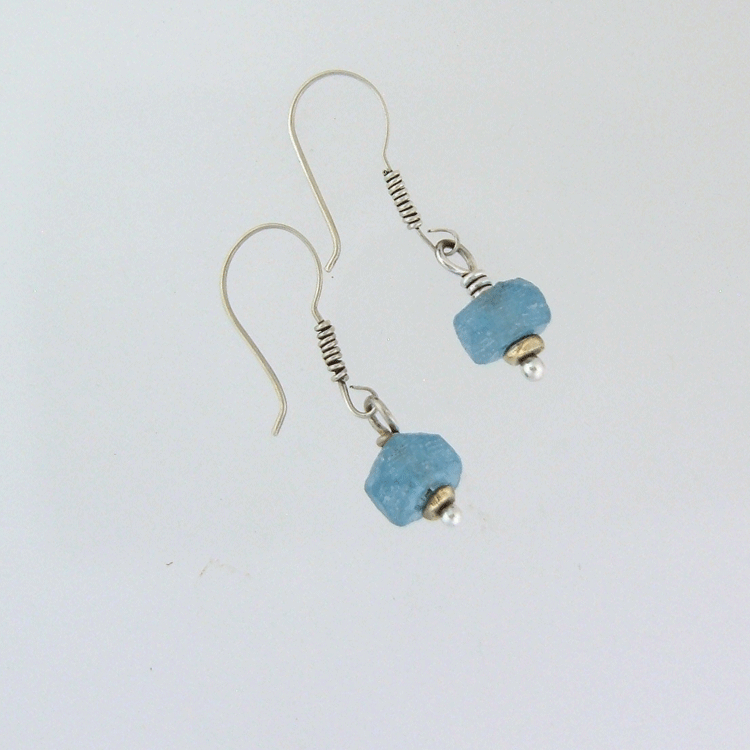 Can you see wearing them with your open shoulder tees or dress while sipping a tropical drink? The cool color of blue beach glass is perfect for spring, summer, and yes, even into winter, not so good for autumn. How much better can it get unless someone else buys them for you.